While we are not experts on air freight nor do we profess to be – we do receive questions from our members on a broad range of topics that affect costs in their business. Having received a number of enquiries, we delved a little deeper into the changes coming to air freight after Australian Government regulations come into effect from March 1, 2019. While not everyone freights products by air, the impacts of these changes could be felt throughout a broader supply chain as there will be an impact to cost as well as time depending on the path that a business may take. Air freight makes up a whopping 21 percent of Australia’s international trade value although it is less than 0.1 percent by volume (source: infrastructure.gov.au). The changes in regulation are designed to help mitigate increased security threats to passenger and cargo aircraft through tighter screening procedures of air-bound freight. While these requirements are already in place for any air freight to the United States of America – Australia has now adopted tighter requirements across the board. 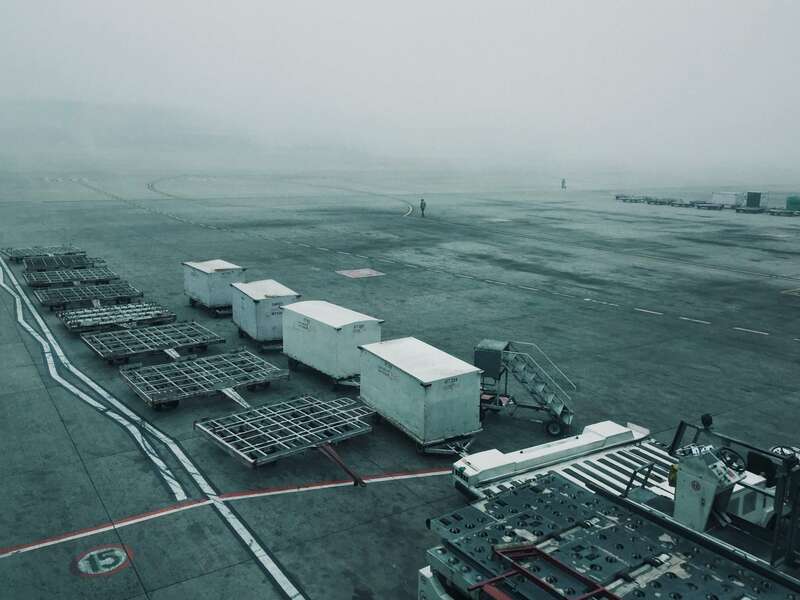 For businesses that are large users of air freight, preparation for these changes should be well underway but the lack of clear information present in the public forums may mean some businesses will be caught unaware. What do the changes mean for air freight? The end result of these changes is that all items of freight to be loaded onto an aircraft must undergo x-ray scanning at a piece level. If the goods are not scanned or certified, then the goods may not be uplifted onto an aircraft. This may affect your business if it ships goods by air-freight either within Australia or overseas. The effect could be either increased costs of freight (related to scanning and certification) or time that needs to be considered. Where goods are perishable (and this is a large part of our exports) – it is important that air freight originating businesses are across and prepared for the changes. The two major impacts to current air freight arrangements are most likely to be time and cost for businesses who ship via air freight. Certain types of goods are not suited to a piece level examination via x-ray or metal detectors. Packaging of your products – Changes to packaging may be required to avoid damage to or perceived interference (due to examination) of your goods. Depending on the goods you ship and requirements around hygiene or security, you may have few options other than to join the known consignor (KC) program. Handling of consolidated cargo – The way in which you palletise and ship your goods may need a re-think to allow for piece level examination. How your cargo is transported – for perishable goods the options for alternative shipping (e.g. refrigerated sea container) may be limited. How your products are palletised – utilising options such as plastic or cardboard pallets reduces a source of metal (nails in wooden pallets) that may impact examination. It also obviates the need for ISPM15 treatment of wooden pallets via heat or fumigation. We have developed a range of options for cardboard pallets for our members through our supplier BoxnLoad. There are two options for your business depending on the volume of freight shipped or the sensitivity or value of your cargo. These are decisions that need to be weighed up by each individual business and could add to the cost of doing business or being in business. If freight is a major component of your business, piece level examination is impractical or you just like doing things yourself, then there is an option to become a Known Consignor (KC). Businesses approved as a KC will be able to use their KC security program for domestic air cargo as well as export to all international destinations, not just the US. Becoming a Known Consignor will depend on each individual business but should not be undertaken lightly due to the requirements of the programme. incident response and reporting procedures. You may also need to consider any impacts on your insurance or business risk profile as part of these changes. A quick chat with your insurance broker could allay any concerns you may have. If your insurance broker is unaware of the impacts of this, it might be worth a call to our preferred supplier for Business Insurance, Aon who advise across a broad range of industries. You can find out more information about the Known Consignor program including how to apply via the Department of Home Affairs and Border Protection website. There is also a list of companies that have already been approved as known consignors. The benefit of using an outside expert makes sense where you may not have the scale to deliver a return on investment for any costs associated with becoming a Known Consignor. The difference between the two types of agents is simple. An Accredited Air Cargo Agent (AACA) is a business that handles or makes arrangements for or transport of – outbound air cargo. They are accredited to handle cargo that either originates from a known consignor (self certification) or cargo that has come from another business and been examined and cleared by a Regulated Air Cargo Agent (RACA). If you are already working with a freight forwarder, it is likely that they have already sought or are in the process of seeking their accreditation but there is a full list of the accredited freight forwarders at Department of Home Affairs and Border Protection page. This security change is pervasive for all air cargo and is likely to have both significant time and cost impacts on your business unless you put appropriate arrangements in place. If you have not already planned for this, then you need to take immediate action through talking with your freight forwarder and/or starting preparations yourself. A helpful reference with Q&A’s can be found on the Qantas freight website. The information contained in this article is made available on the understanding that it is not providing professional advice and individual business requirements may vary. Every effort has been made to ensure that the information is reflected accurately and the author makes no representations or warranties as to the contents or accuracy. The reader should exercise their own skill and care with respect to its use, and seek advice before implementing any recommendations.